The notion that a commercial quantity of marijuana would be deliberately smuggled from Australia to Indonesia is widely considered to be untenable. It is an issue, however, which has been relatively devoid of focus by media channels in Australia with respect to the Schapelle Corby case. However, it is an aspect for which official data is available, including from the United Nations. 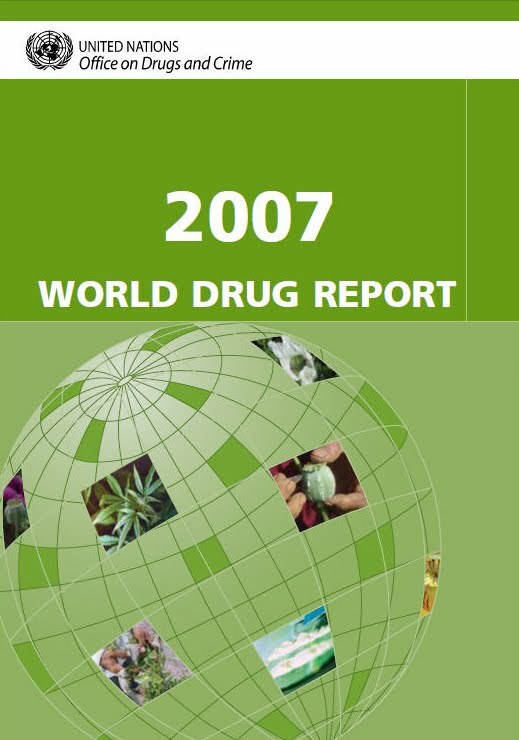 The UN maintains detailed statistics on the local prices of marijuana, including both retail (street) value, and wholesale value. These present a very clear and unambiguous picture. 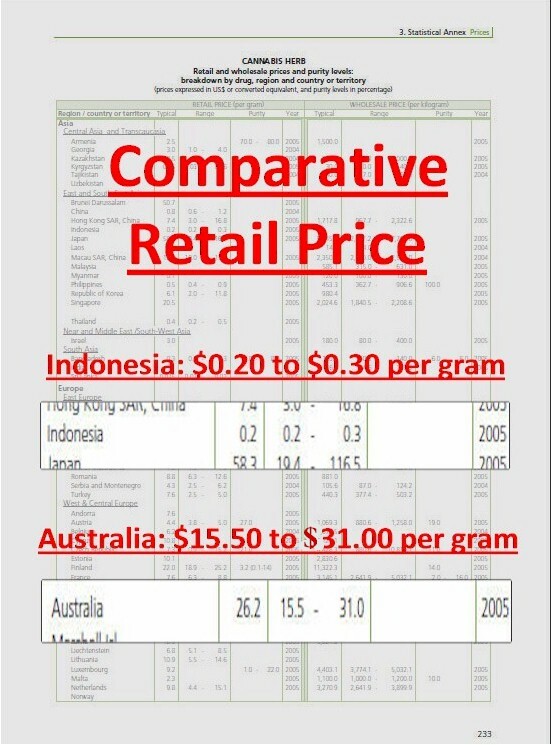 In 2005, the typical retail price in Australia ($26.20 per gram) was one hundred and thirty one times more expensive than it was in Indonesia ($0.20 per gram). 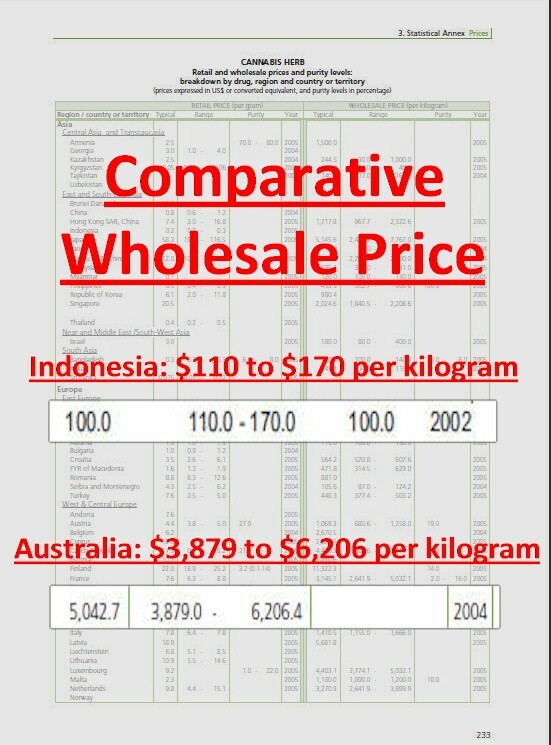 In 2005, the typical wholesale price in Australia ($5,402.7 per kilo) was fifty times more expensive than in Indonesia ($100 per kilo). The following news clips illustrate the ease with which marijuana is grown in huge quantities in Indonesia. 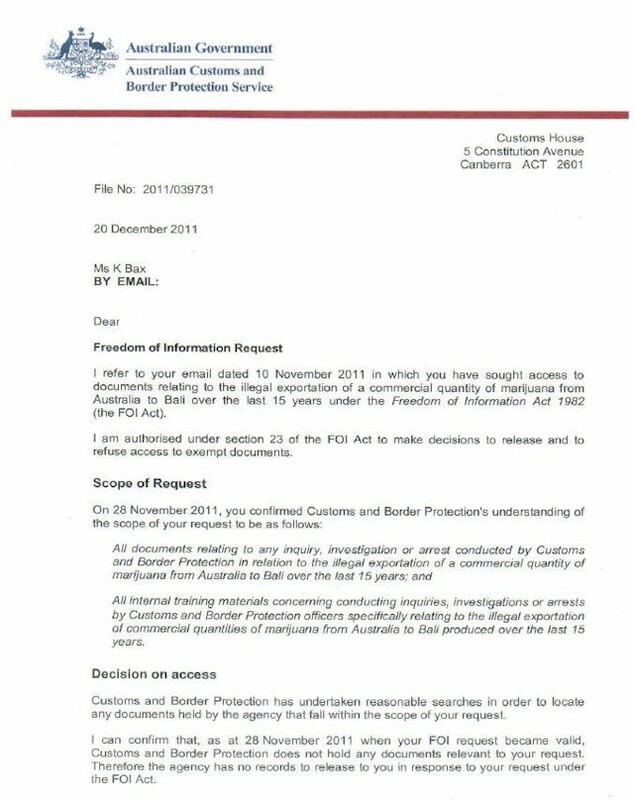 In 2011, a Freedom of Information request was submitted to the Australian Customs & Border Protection Service. The response confirmed that there had never been an inquiry, investigation or arrest pertaining to the illegal exportation of a commercial quantity of marijuana from Australia to Bali over the previous 15 years. The implications of this, with respect to the Schapelle Corby case, could hardly be clearer. Smuggling 4.2 kg of marijuana from Australia to Indonesia would result in a very substantial loss at market prices. There was no motive. Equally, there is no record whatsoever of such smuggling activity ever having existed. The Australian government were informed of this situation, by a variety of parties, both during Schapelle Corby’s trial, and in subsequent years.